Considered somewhat of an enigma to the fashion industry, photographer Steven Meisel is notorious for abstaining from interviews and shying away from the camera, unless of course, he is behind the lens. In 1988, Meisel shot his first cover for Vogue Italia, beginning a long relationship with the magazine– Meisel would continue to exclusively photograph covers for the following two decades. 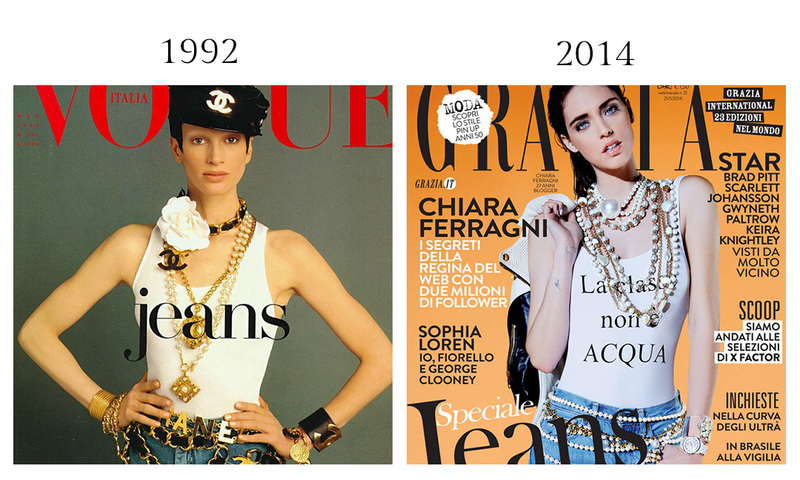 In 1992, Meisel photographed model Kristen McMenamy dressed in Chanel wares paired with jeans for the magazine’s May issue. 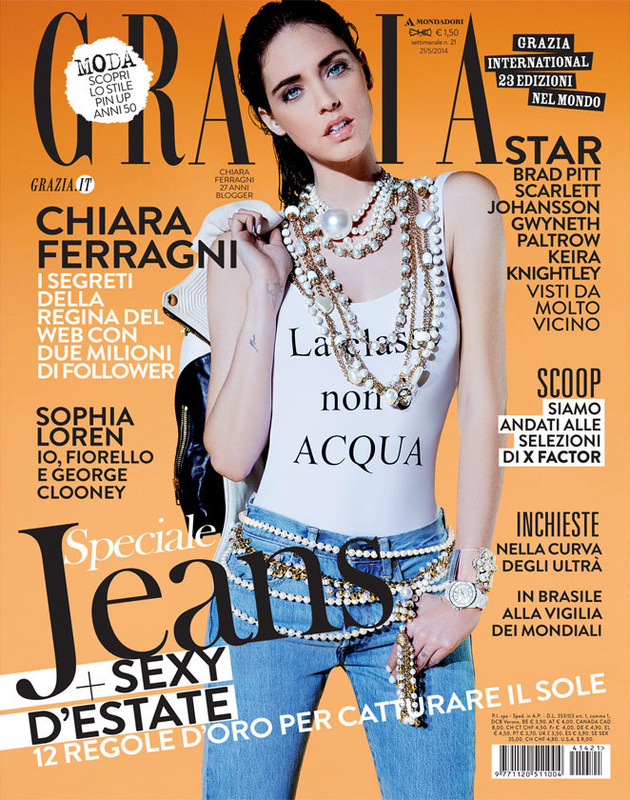 For Grazia Italia’s June 2014 issue, Alberto Tommaso Badalamenti photographed Italian blogger sensation Chiara Ferragni seemingly channeling McMenamy in denim and pearls.